Most twenty-somethings working in engineering wouldn’t dream of leaving job security in search of a job in ecclesial ministry with lower pay and lower status. Fortunately (or unfortunately), I am not like most of my peers. As I arrived home in New Hampshire after my year of service with Precious Blood Volunteers, I faced the reality of financial responsibilities; unfortunately I cannot be a volunteer forever! My year in Kansas City left me inspired, hopeful and confused when faced with the question, “So…what next?” Numerous resumes and several promising but unsuccessful interviews later, I still didn’t have a job or any sort of plan set for my return to New Hampshire. Amidst the questions and confusion, Tim Deveney, Director of Precious Blood Volunteers, recommended I apply to attend an upcoming conference: Catholics on Call. Knowing nothing about the event, I did a bit of investigative work to find out more. Catholics on Call is a gathering of young adults ranging from early twenties to mid thirties who are eager to serve the Lord with their lives, but don’t quite know how to do so. As I scrolled through the website I thought, “That’s me!” The conference provides a safe environment for people to further explore vocations to religious, ordained and ecclesial ministry within the Church. 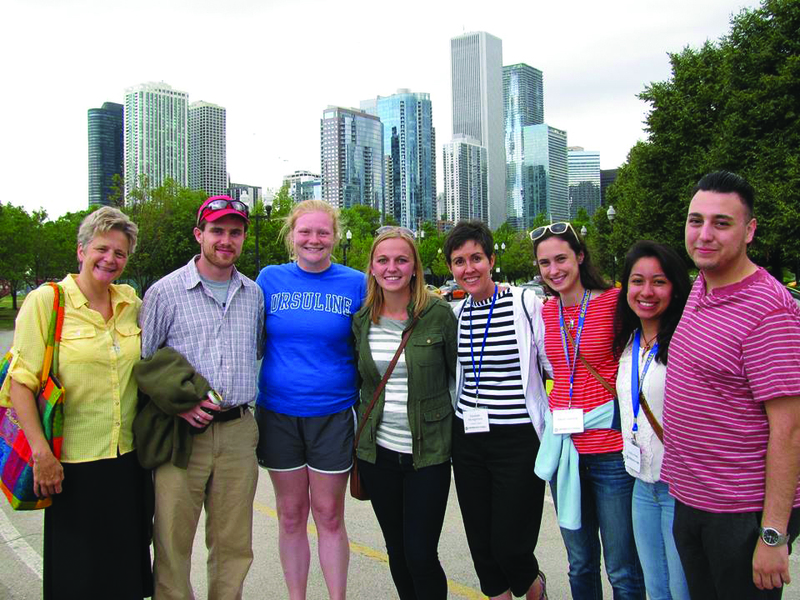 If nothing else, the scenic waterfront location of the conference at Catholic Theological Union, nestled in the Hyde Park neighborhood of Chicago, would make the week worth the trip. The conference did not bring the answer of that question to me, but it did bring me to the heart of the question. I was searching for my vocation in all the wrong ways and places. I feel refreshed, reassured and ready to continue to search for where God wants me to be and am ready to do the best I can each day along the way. Thank you to everyone in the Precious Blood Community who have helped and supported me over the past year. I am so blessed to know you. Ryan Cornelissen served as a Precious Blood Volunteer from July 2014-June 2015. He served at Cristo Rey Kansas City High School and lived at Gaspar Mission House.